Tide is a beautiful Pomodoro timer with peaceful white noises, which enables people to use its simple timer and elegantly listen to white noises continuously for focusing. With Tide, these creators who are trying to bring beautiful things to this world will be able to create, work and live more effectively and attentively. Moreover, with extremely simple and elegant interfaces, it is also really easy to use. In this prototype, except some background images, the rest aspects and functions of this beautiful app are highly presented. For example, its smart timer is created with a Circular Progress Bar component of Mockplus, though it is not able to dynamically display the music process. And we will make our efforts to improve it in the future. 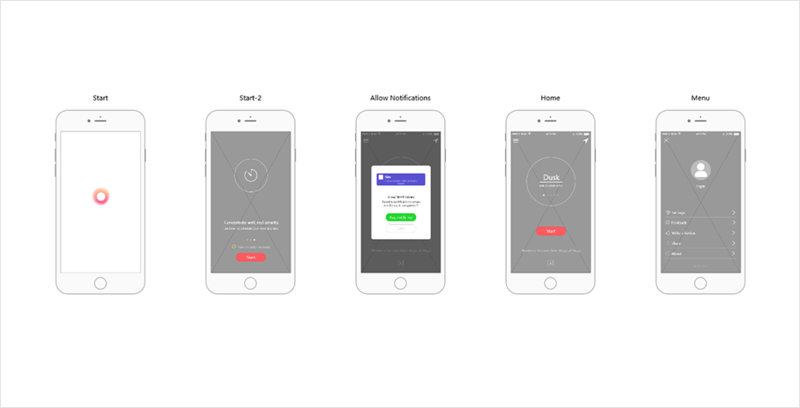 Pages of this prototype: Start, Home, Login, Sign Up, Daily Share and Settings, etc. The project file can be downloaded here. All pages of the album (11 pics in total) can be downloaded from here.